When buying built-in appliances, there are a few important factors that should be kept in mind. Whether you’re replacing your old built-in appliances or planning a complete re-design of your kitchen, this buying guide will give you the information you need to help you make the best choice. An appliance which is installed either directly into your kitchen’s cabinet columns or within your kitchen’s work surface. 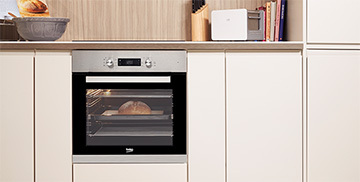 The functioning surface of a built-in appliance is visible. 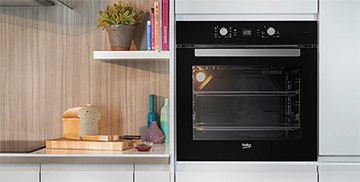 An appliance which is installed either directly into your kitchen’s cabinet columns or under a work surface in your kitchen and is fully concealed behind a door panel to match the rest of your cabinetry. 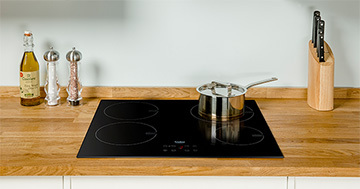 An appliance which is installed under your kitchen’s work surface and directly into your kitchen’s cabinet column. The functioning surface of a built-under appliance is visible. 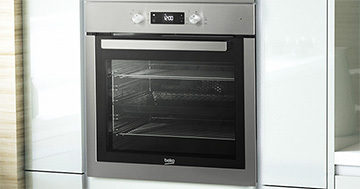 Find out more about our range of built-in appliances here. 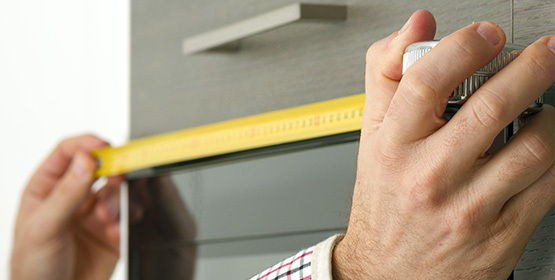 Here are our top 5 tips to help you ensure you are getting the correct measurements you need to help you decide which built-in appliance would fit into your kitchen perfectly. Use a tape measure and make a note of the measurements. The three dimensions you’ll need are height (H) – from the top to the bottom, width (W) – from side to side and depth (D) – from back to front. 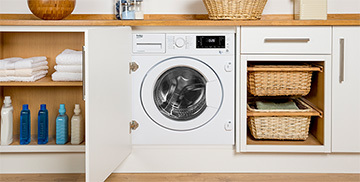 Measure the space you’ve got, not your old appliance. Be sure to measure the dimensions in centimetres (cm). Measure several different points in case the dimensions vary in certain places. Planning on re-designing your entire kitchen? Here are our top pointers to keep in mind when deciding on where to place your new built-in appliances. Give some thought to how you use your kitchen everyday or how your kitchen’s new design will affect the way you use your kitchen. For example, are you planning on including an island in your kitchen? If so, consider a built-in hob for your island. Think about the ease of moving from one appliance to the other in your new kitchen. 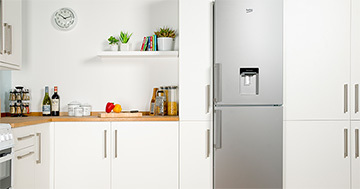 Is it easy to move from your integrated fridge freezer to your built-in cooking appliances? How will the placement of your built-in appliances affect the way you carry out your everyday tasks? Keep energy efficiency in mind. For example, don’t place your built-in oven and integrated cooling appliances next to each other – the heat generated from the oven will cause your fridge freezer to work harder to maintain its internal temperature, causing for greater energy consumption and higher energy bills. Remember to pick out your appliances before you start designing. 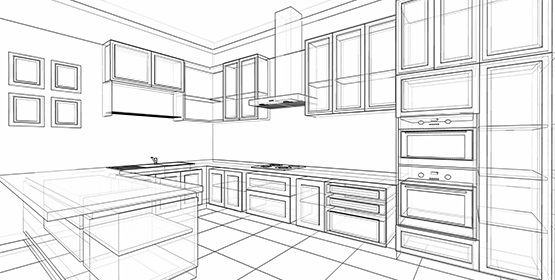 It’s always easier to design your kitchen’s layout when you have specific appliances in mind. Be sure to share all your thoughts with your kitchen planner or kitchen studio. They can help advise you on the best layout to suit your everyday needs. Know what kind of appliance you’re after but need to know more about what to consider before buying? Browse our buying guides below for more helpful information. 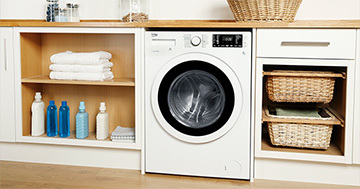 Or, if you’re ready to start browsing our range of built-in products, click here. 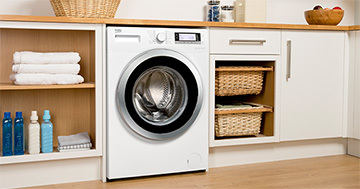 Need a bit more information on what to have in mind before buying a washer dryer? Our guide will help you. 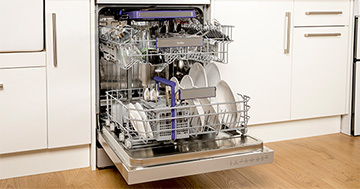 Depending on your dishwashing needs, our guide will help you select the best appliance to suit your requirements. Need help deciding which cooling appliance to select? Our guide lets you know what to consider before buying.